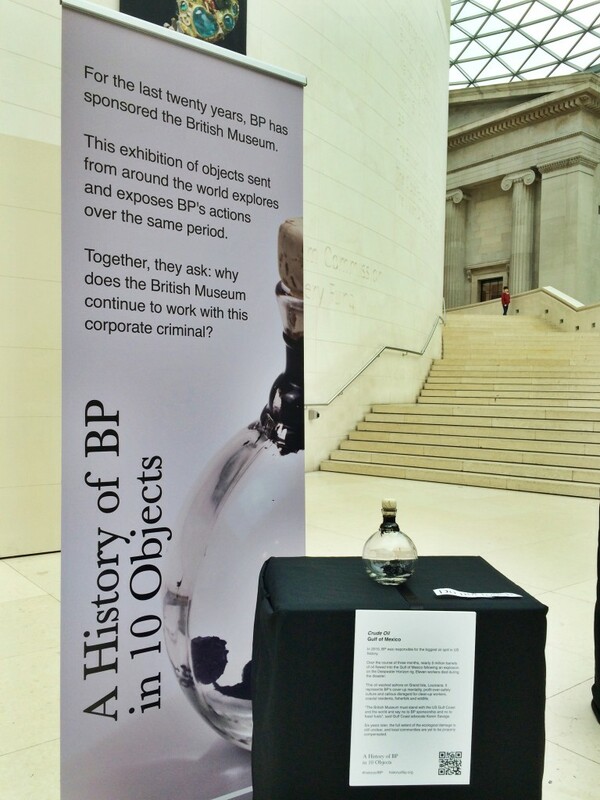 Join us for some serious Mischief against BP on Saturday June 16th! – BP or not BP? At that loathsome, rank, endless and infinite liar…BP! A host of different performers will join BP or not BP? for a family-friendly day of music, theatre and spoken word – all held mischievously outside RSC venues. Think of it as an unofficial “fringe” to the RSC’s own Mischief Festival. We are working with people from countries directly affected by BP’s operations, some of whom will be joining us on the day to share their stories with the public. Some of the performances will be lively and cheeky, others will have a more solemn tone to reflect the reality of BP’s operations. The festival will run from 12 noon to around 6.00pm on June 16th. We’re organising cheap transport from London, Oxford and maybe other cities too if there’s enough interest – if that would be useful to you, please email us as soon as possible at info@bp-or-not-bp.org, and we’ll see what we can sort out. Stratford-upon-Avon also has a train station, which is a 15 minute walk from the theatre.